tips are essential for every bride and groom in the planning phase of their reception. 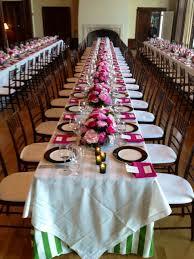 By seating diners family style at long tables no wider than 36 inches, you will shrink the amount of empty space to decorate, cutting down on centerpiece costs. Guests will still have plenty of room and will find conversation easier as well.